High Precision NTC Thermistors for Extremely Accurate Temperature Measurement The MF51E NTC Thermistors were specially designed for use in electronic thermometers which require better than average accuracy. 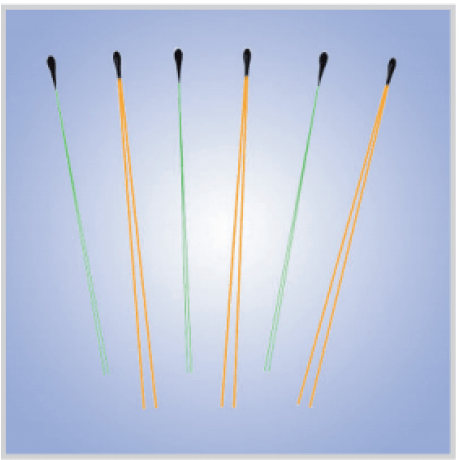 The extremely small size allows the thermistor to respond very quickly to tiny changes in temperature. The MF51E can be supplied un-calibrated with standard tolerances or calibrated and grouped according to R at 37°C±0.01% for extreme interchangeability so as to eliminate the need for other calibrations.